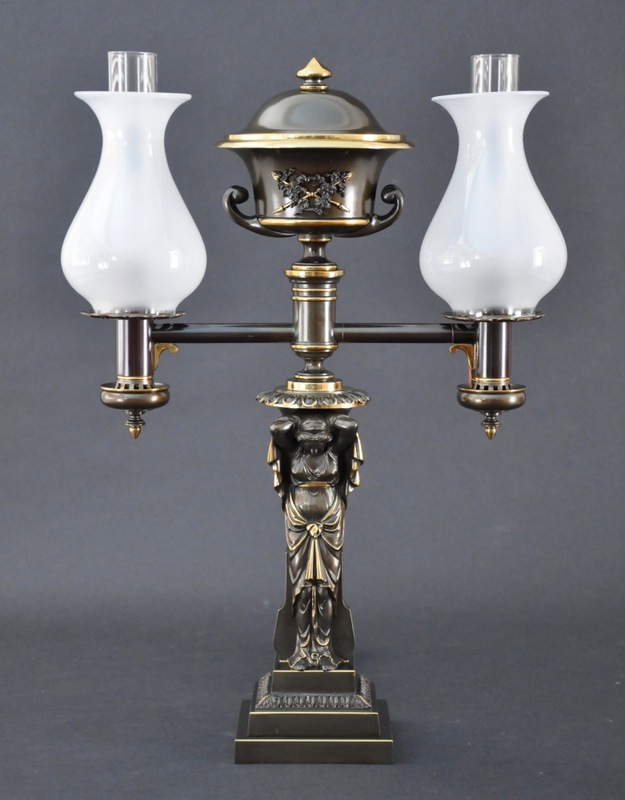 In the landmark exhibition, Classical America 1815-1845, at The Newark Museum in 1963, a nearly identical lamp was exhibited and appears in the catalog as Plate 198 on pages 148 and 157. The urn-shaped font with scrolling handles and a classical wreath mount has a domed top to accommodate a larger oil reservoir. A caryatid draped in a robe standing on a triple-stepped plinth composes the standard. 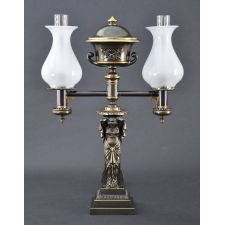 The lamp is offered in a handsome patinated finish with gilt highlights.